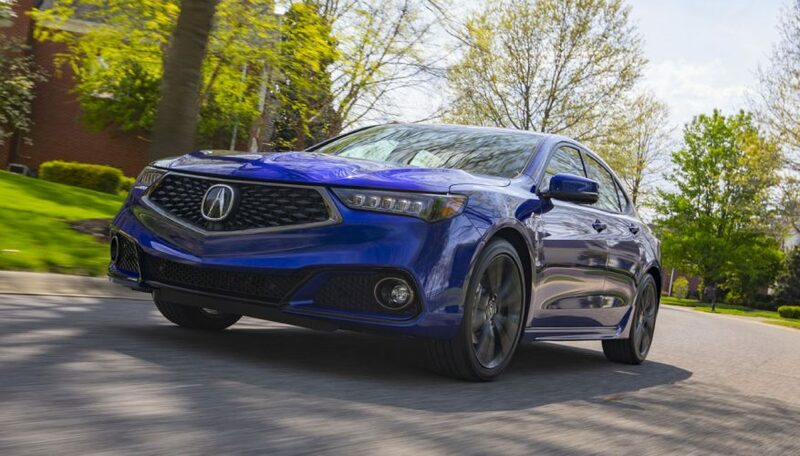 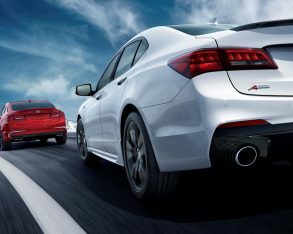 News that Acura would be making a sporty A-Spec version of its four-cylinder powered, front-wheel drive TLX should be well accepted now that it’s available, as the new variant costs thousands less than the V6-powered model and reduces ongoing costs by achieving better fuel economy. 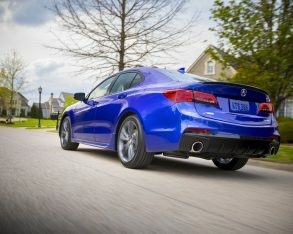 The new four-cylinder TLX A-Spec looks identical to the V6 version, including its matte-black grille, sportier front fascia design with larger air intakes, dark chrome internal headlights, fog lamps, extended side sills, gloss black rear trunk lid spoiler, dark tinted taillights, special glossy black 19-inch alloy wheels on 245/40 R19 all-season tires, A-Spec branded door sill garnish, red LED ambient interior lighting, thicker-rimmed leather-wrapped A-Spec sport steering wheel, red-accented primary instruments, metallic driver’s foot rest pedal, brushed aluminum inlays, unique heavily bolstered A-Spec leather sport seats, and black roofliner. 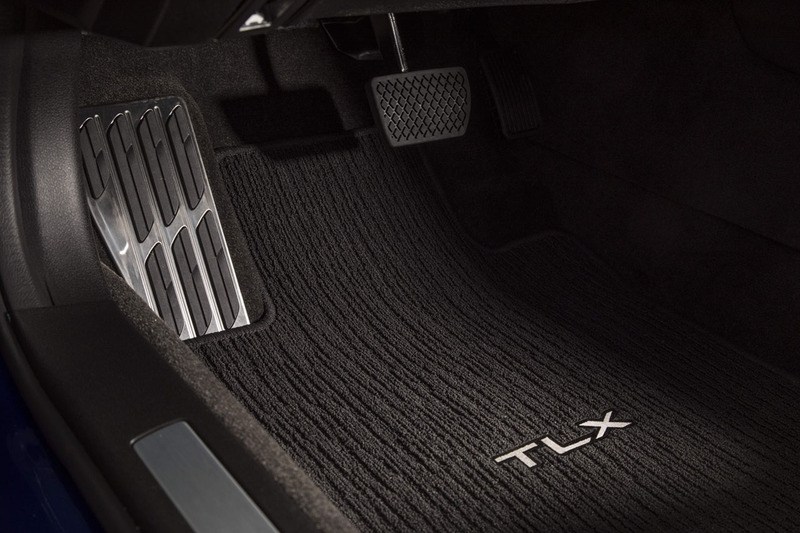 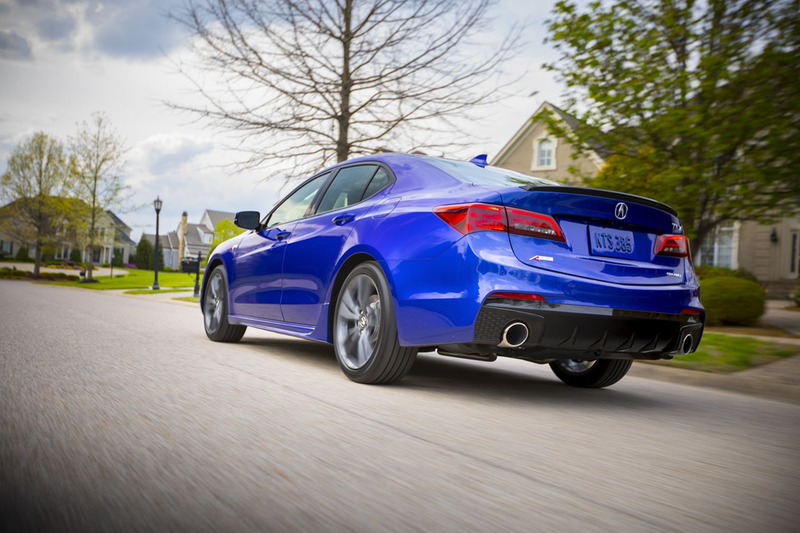 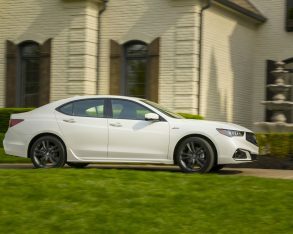 The four-cylinder-powered TLX A-Spec starts at $39,400 plus freight and fees, which is a $4,365 savings compared to the V6-powered TLX A-Spec. 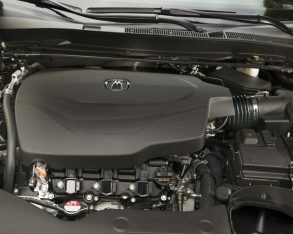 To be clear, the 2.4-litre inline-four may be the base engine, but it’s still a sporty alternative to the 3.5-litre V6 thanks to 206 horsepower and 182 lb-ft of torque, an ultra-quick shifting eight-speed dual-clutch automated transmission with standard steering wheel-mounted paddle shifters, rear-wheel steering, and a reduction of 123 kilograms in curb weight. 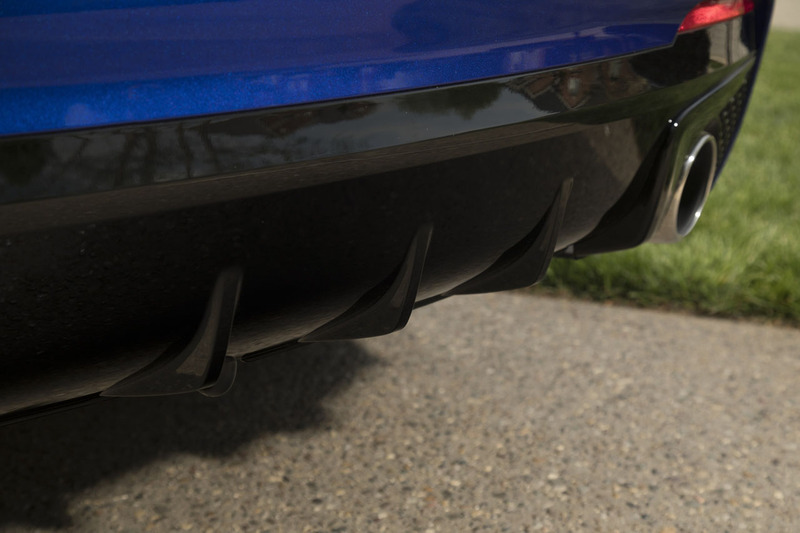 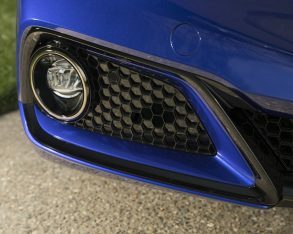 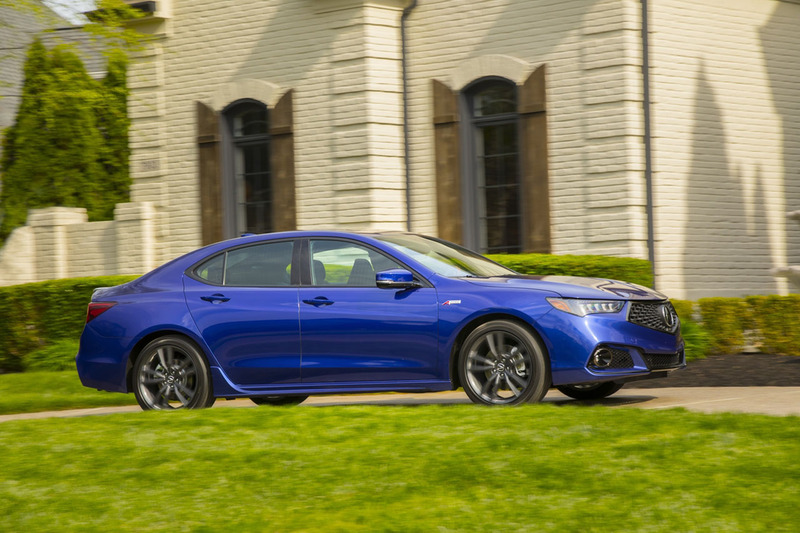 According to Acura, strong customer demand prompted the addition of four-cylinder A-Spec model, which incidentally is otherwise outfitted in well-equipped Tech trim. 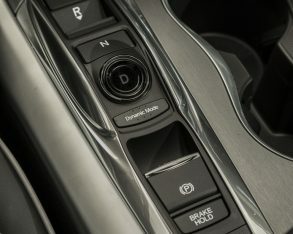 Therefore, along with the aforementioned styling modifications, the front-wheel drive model gets rain-sensing wipers, power-folding side mirrors, a heatable steering wheel, heated rear outboard seats, powered front thigh extensions, perforated leather upholstery, navigation, AcuraLink connectivity, a 10-speaker ELS audio system with AM/FM/CD/ MP3/WMA/satellite radio, hard disk drive (HDD) media storage, Blind Spot Information System with Rear Cross Traffic Monitor System, and more. 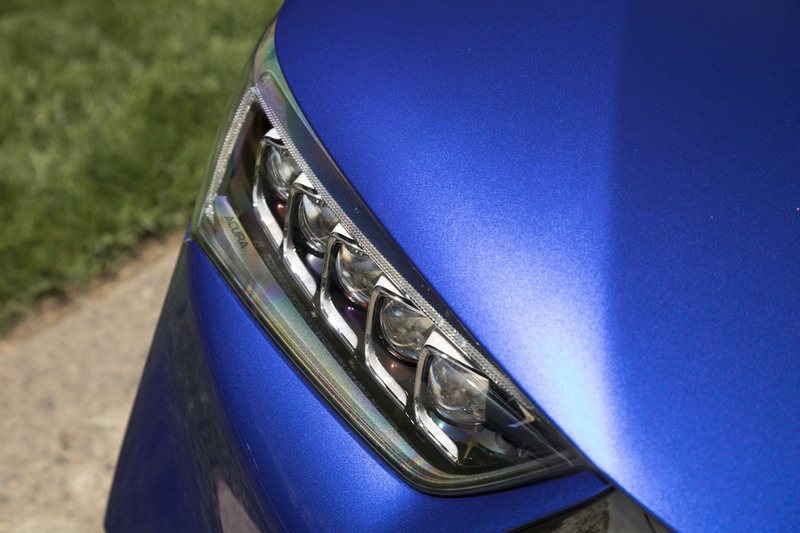 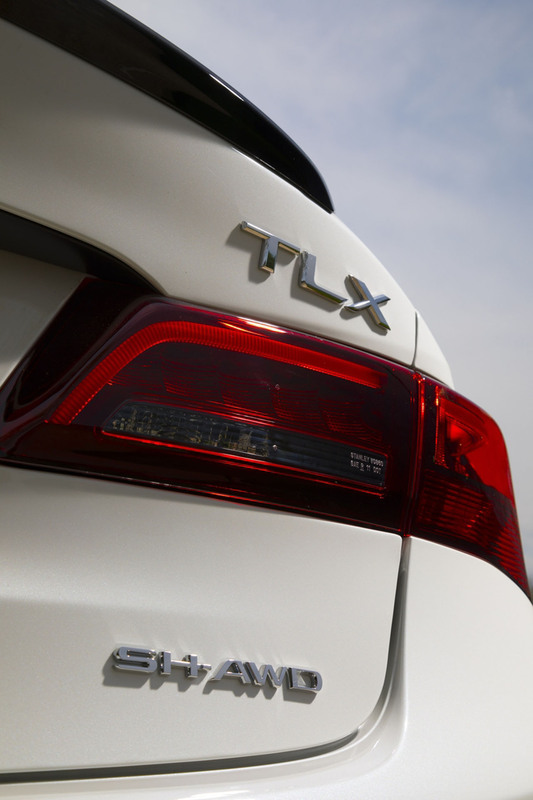 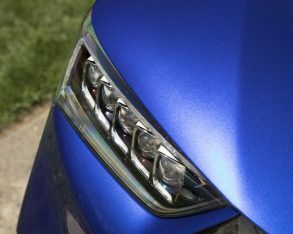 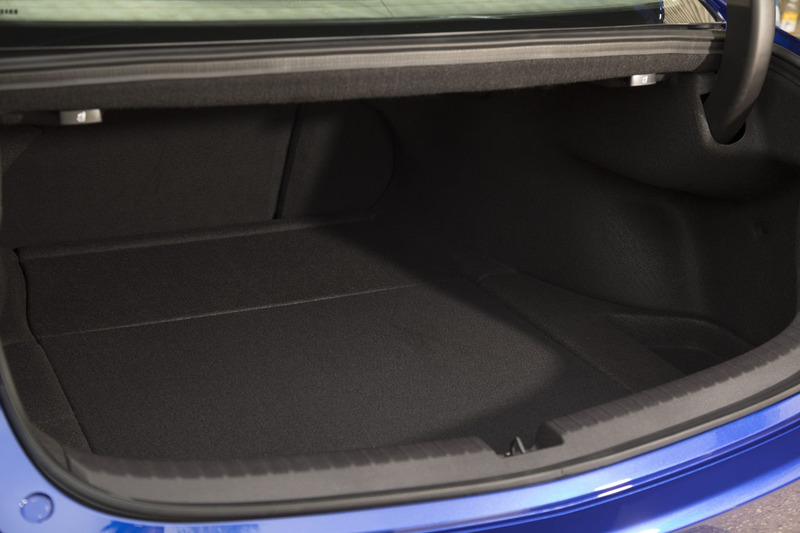 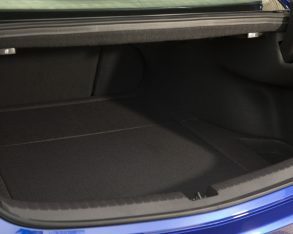 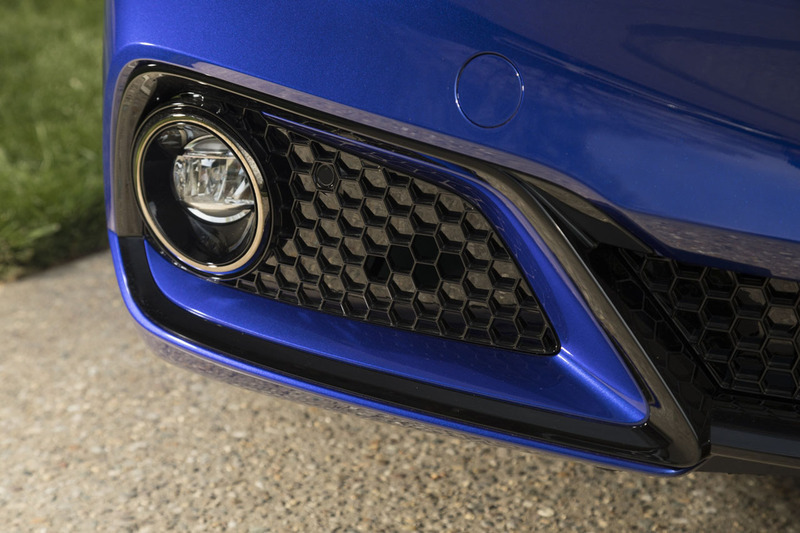 Full LED headlamps continue to be standard equipment with all ILX trims. 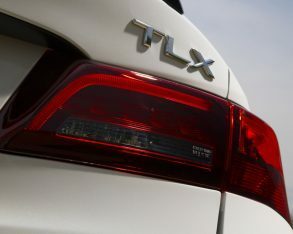 Additionally, highlights pulled up from the $36,190 base TLX include LED headlights with automatic high beams, passive keyless entry with pushbutton ignition, adaptive cruise control, an auto-dimming rearview mirror, dual-zone automatic climate control, a large infotainment display with Apple CarPlay and Android Auto smartphone integration, a multi-angle backup camera, a powered glass sunroof, a 10-way power-adjustable driver’s seat, a four-way powered front passenger seat, heated front seats, and the list goes on. 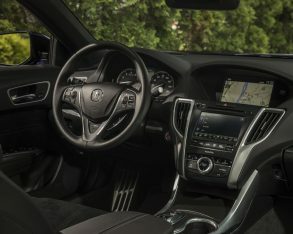 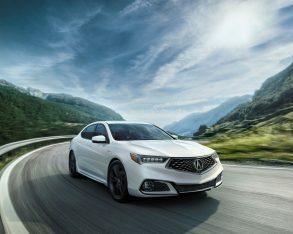 Also standard, the TLX features a bevy of AcuraWatch advanced driver assistance systems including Forward Collision Warning (FCW) with autonomous Collision Mitigation Braking System (CMBS), Lane Departure Warning (LDW) with steering wheel haptic feedback, Lane Keeping Assist System (LKAS), Road Departure Mitigation (RDM), and more. 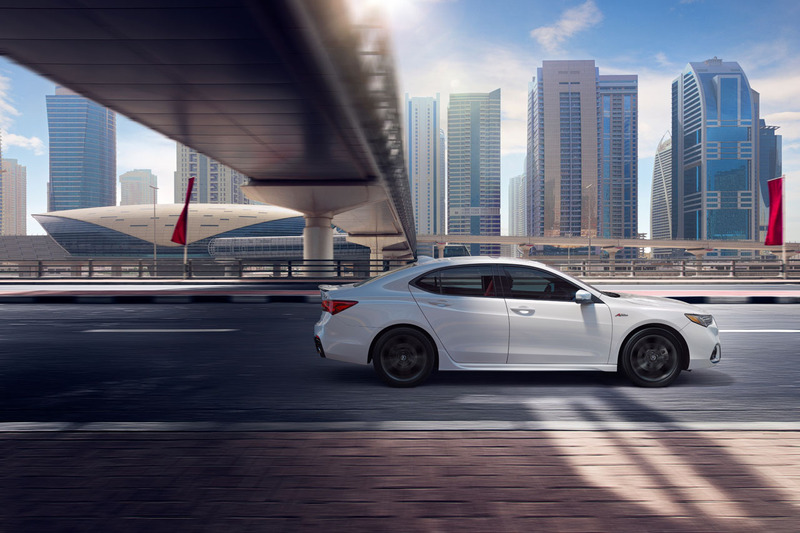 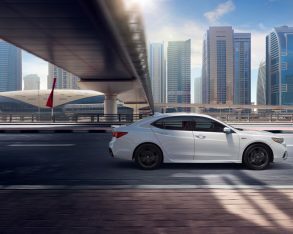 Of course, another bonus that comes with ownership of the four-cylinder powered 2019 TLX A-Spec that shouldn’t be overlooked when comparing it to the 3.5-litre version is fuel-efficiency, the new model rated at 10.2 L/100km in the city, 7.4 on the highway and 8.9 combined, which is only 0.2 L/100km more city/highway combined fuel consumption than the base TLX due to its larger wheels and tires, yet it’s also 1.4 L/100km combined city/highway more efficient than the V6-powered car. 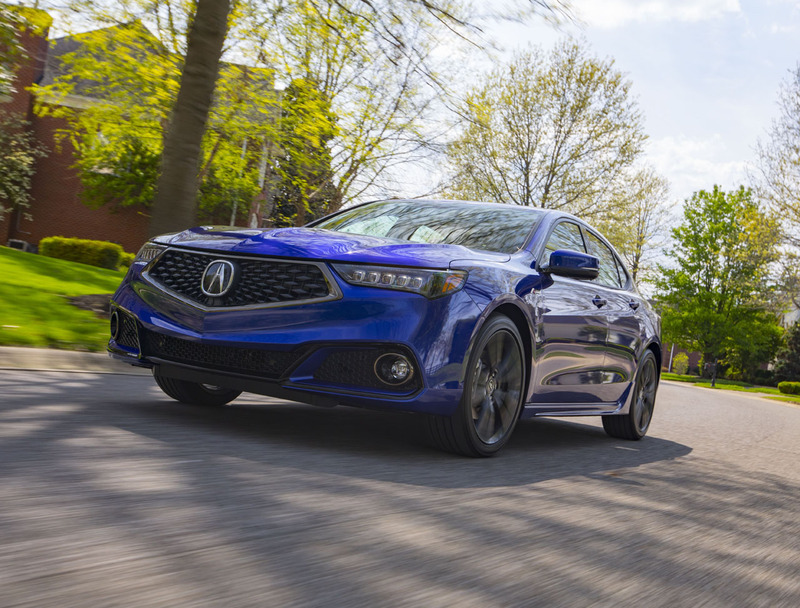 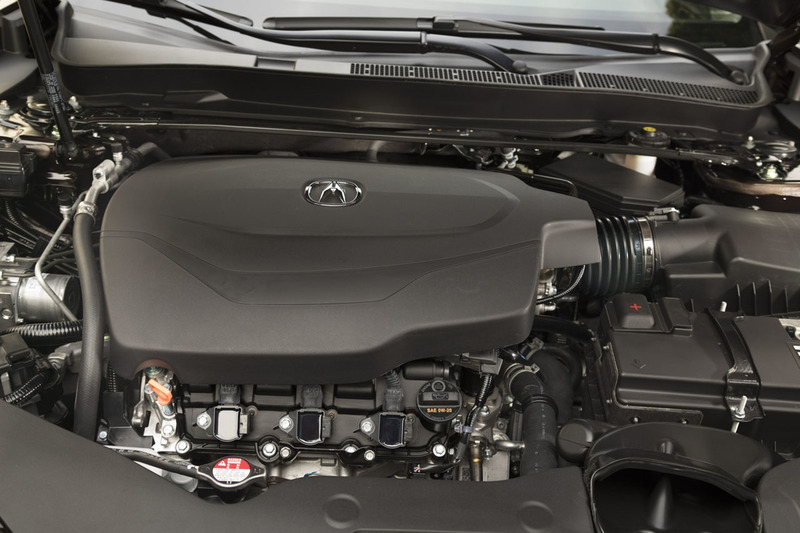 That V6 makes a substantive 290 horsepower and 267 lb-ft of torque, and couples that performance to a sophisticated nine-speed automatic transmission and Acura’s renowned torque-vectoring Super-Handling All-Wheel Drive (SH-AWD). 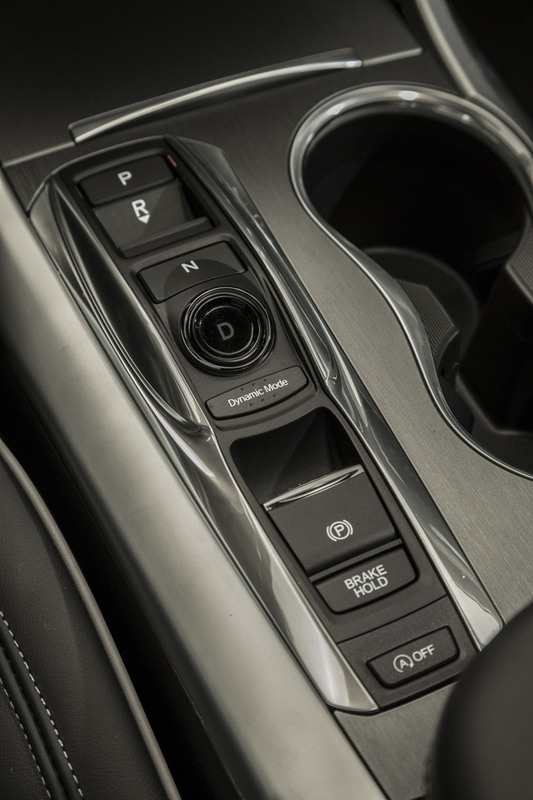 While the nine-speed autobox doesn’t shift as quickly as the four-cylinder model’s eight-speed unit, the former includes faster reacting quick-ratio steering, stiffer springs, and an upgraded rear anti-roll bar, enhancing high-speed handling. 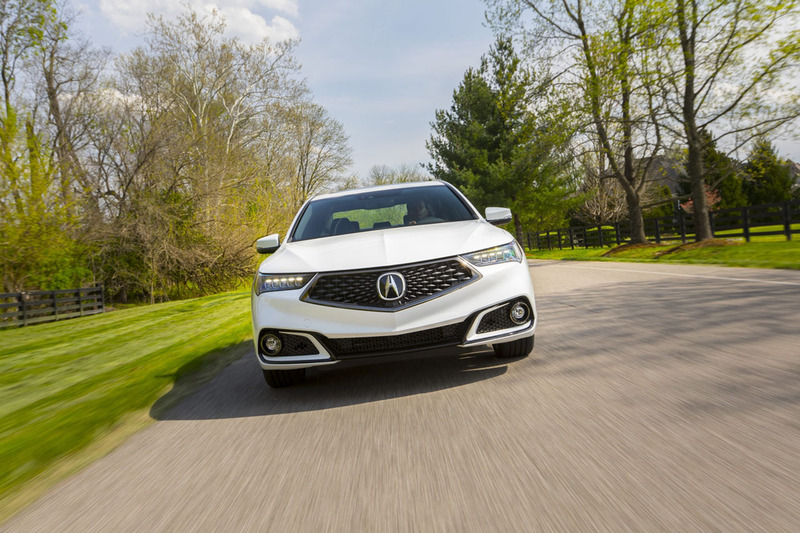 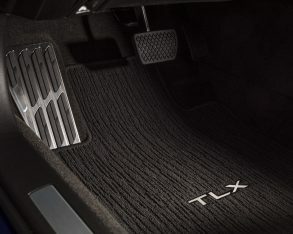 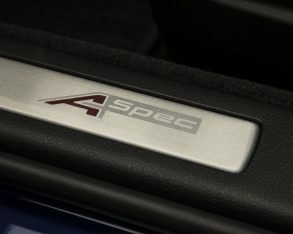 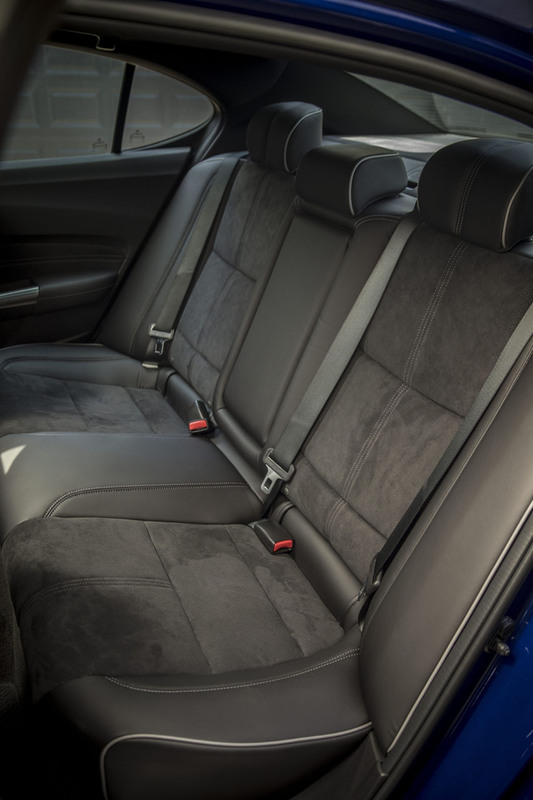 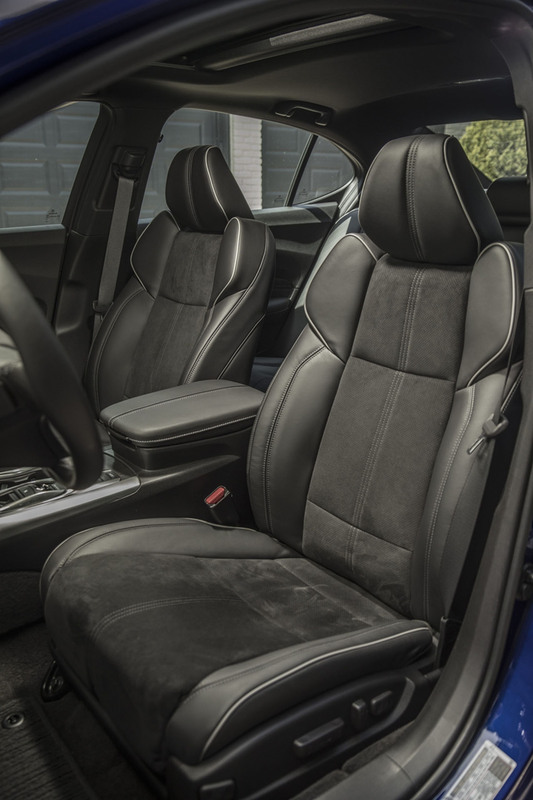 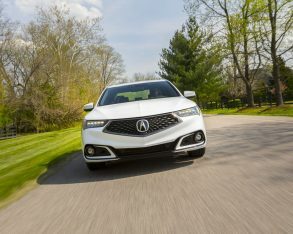 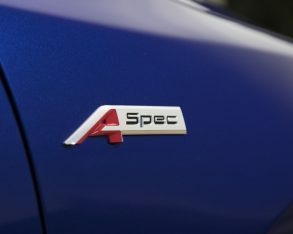 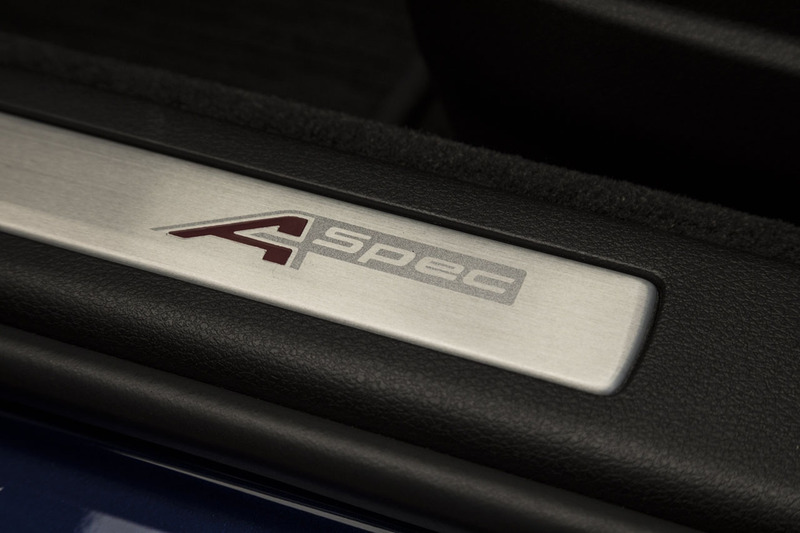 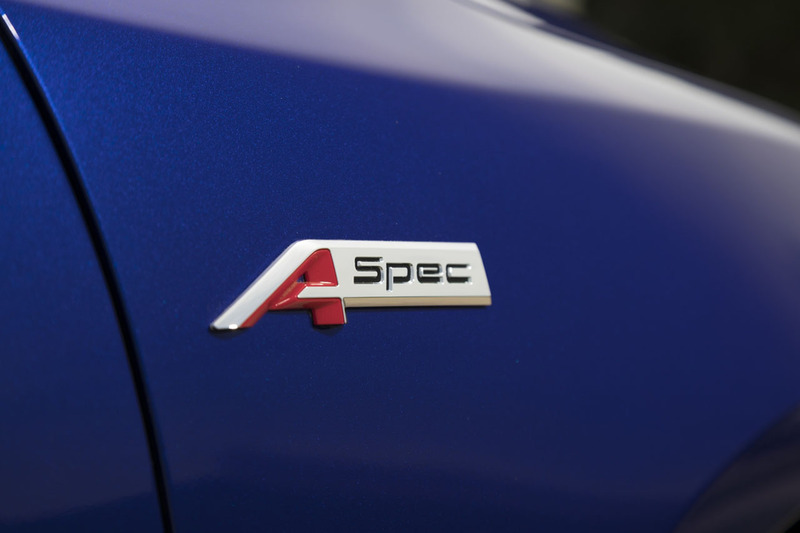 With the recent announcement of the redesigned 2019 ILX sedan, and the all-new 2019 RDX A-Spec and updated 2019 MDX A-Spec, all of which come with A-Spec variants, the only models left in the lineup to receive the sporty trim level are RLX flagship sedan, which may not receive it, and the NSX mid-engine sport car, which surely doesn’t need it. 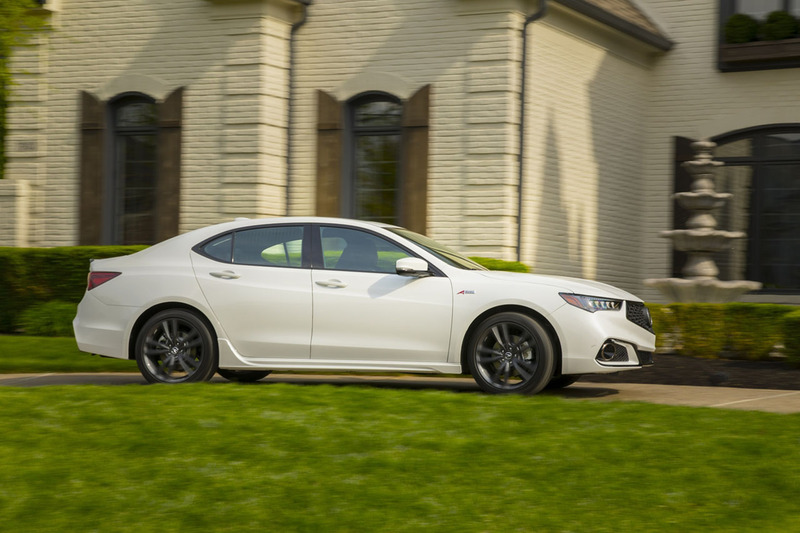 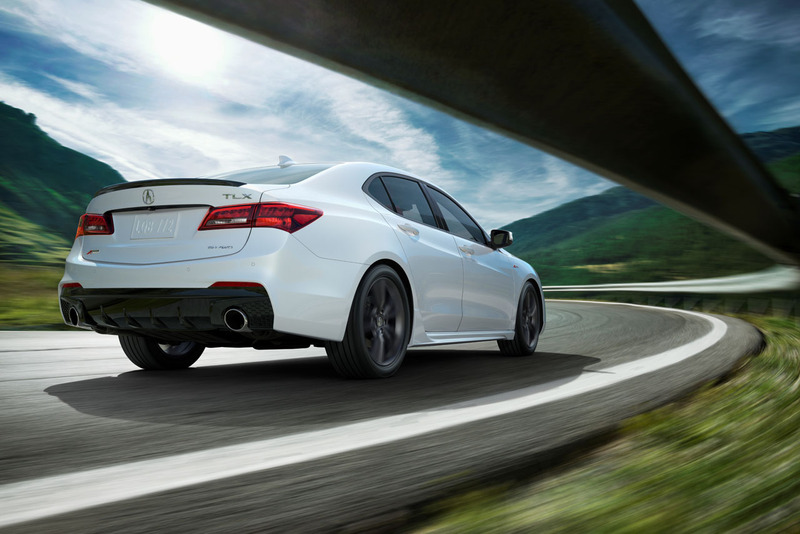 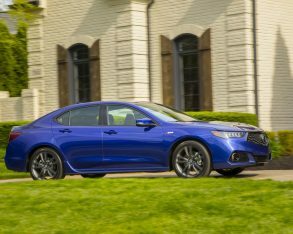 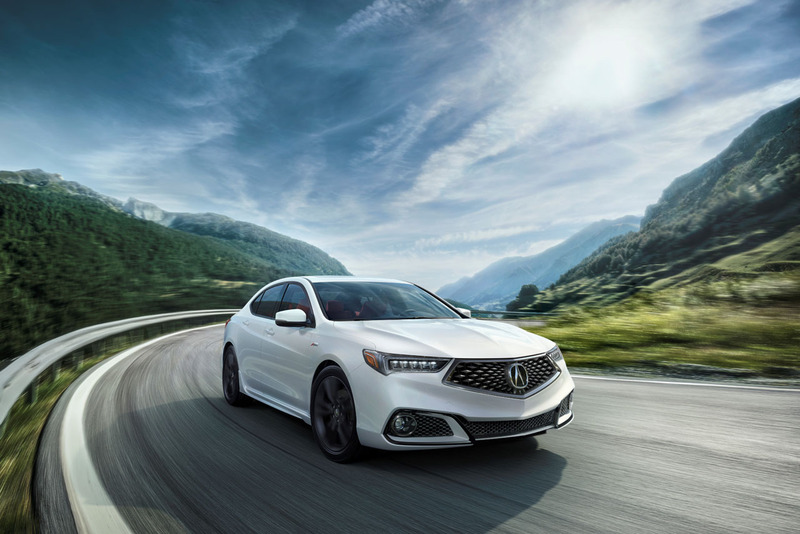 The 2019 Acura TLX A-Spec is available now, along with mostly carryover versions of the TLX Tech, TLX Elite, and top-of-the-line TLX SH-AWD A-Spec Elite. 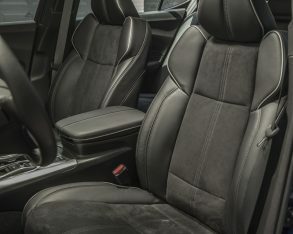 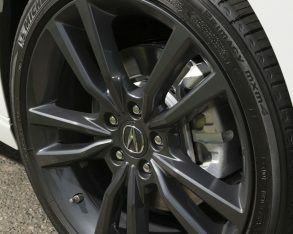 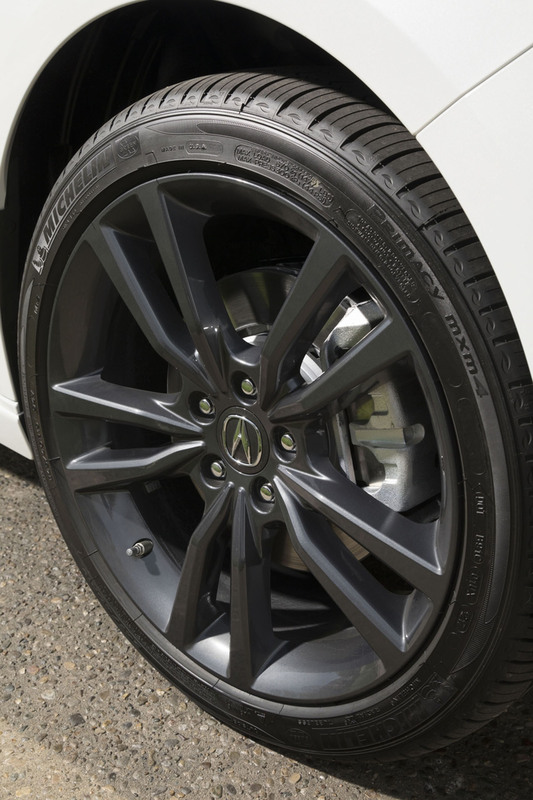 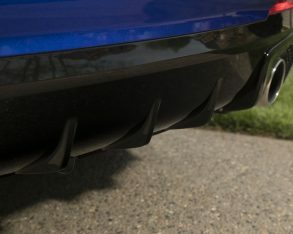 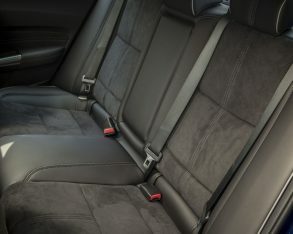 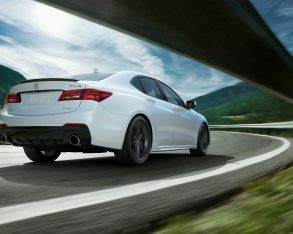 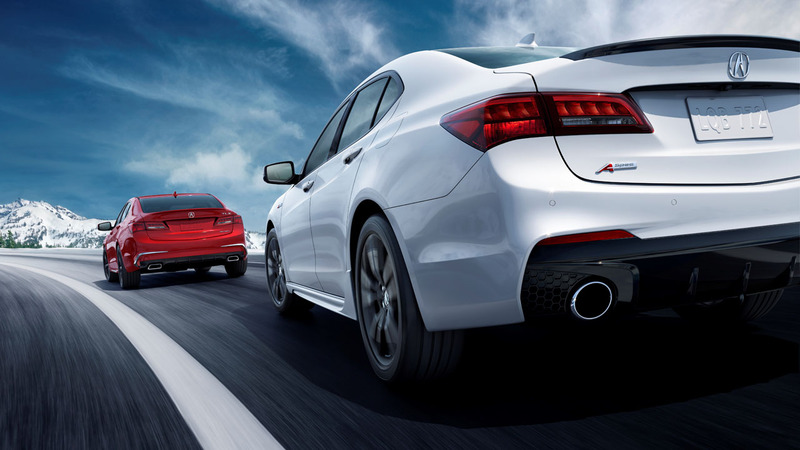 For complete pricing information on all 2019 Acura TLX trims, plus important dealer invoice pricing and model rebate program information that could save you thousands off your next car purchase, make sure to check out CarCostCanada.com.